For most people, owning a house is the culmination of a long-held dream for the family as well as the crowning glory of one’s achievement in life. For those with modest means, a simple three-bedroom house may be good enough for a small family. But what’s it like to live in a luxury home or condo? For those who have the money, a luxury home or condo is worth more than an investment. Though luxury homes are costly, the convenience and pleasures of living in a luxury home far outweighs its cost. Ideally, luxury homes are built for comfort and convenience and many of those who buy luxury homes have these considerations in mind. Compared to an apartment or a flat, living in a luxury house has its perks, which may be attributed to its amenities and features. Many luxury homeowners sometimes consider these factors when buying a luxury home as these types of homes offer better and superior options. One of the most valued factors that homeowners consider is privacy. For them, luxury living is all about privacy and security. Since some luxury homeowners are wealthy individuals and celebrities, privacy and security are their prime considerations. People who live in luxury homes always enjoy the comfort and convenience of first-class amenities. As most luxury homes are designed by modern architects, you will often see luxury homes with beautiful lobbies and well-kept gardens. Hence, it is not surprising to see luxury homes with elegant designs and architecture. Most luxury homes are also found in prime locations or areas such New York and Miami. These places often have a view of the natural landscape such as a scenic mountain or an ocean view. Living in a luxury home is like living in a compact city with all its amenities and features within your access. Some of these include first-class spas, massage rooms, swimming pools, tennis courts, gyms, and other beauty and fitness services. It has also its own parking garages with valets and doorman. Other luxury homes even have party rooms where homeowners can treat their guests. Within the area of a luxury home, you can also find a grocery store or shopping mall. Good luxury homes are often located within distance of airports, schools, and churches which is one of its advantages. In some luxury homes, the concierge may provide a homeowner with food supplies to save him time to go to a grocery store. Living in a luxury home also entails responsibility as you have to maintain your property and pay your obligations to people who manage the place. This means you have to pay some dues and fees to maintain the place. Living in a luxury home may seem costly but through proper management of one’s finances, anyone can still afford to live in it. Like any real estate, owning a luxury home is a good investment as it can be a potential source of income. A homeowner may lease or sell his property at a better price than ordinary houses. The preparation for your life in a luxury home begins in finding a good real estate agent or company that will help you find the right home. Having a good real estate broker who is familiar with the type of luxury home that you want to buy can help you make the right choice. 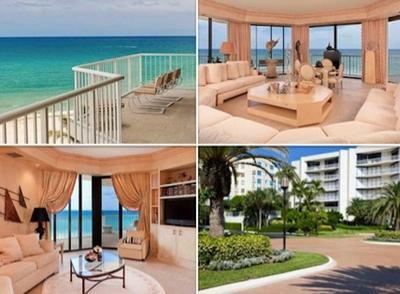 For more information, visit the finest palm beach luxury real estate in Manalapan, Florida.